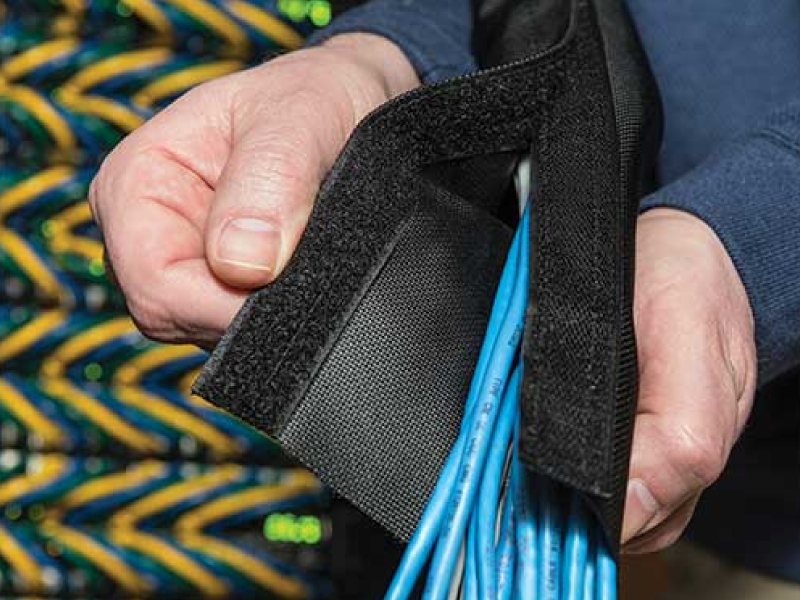 Dura Wrap heavy duty braided sleeving is the answer to organizing and controlling wires, cables and hoses that are subjected to constant and extreme use. 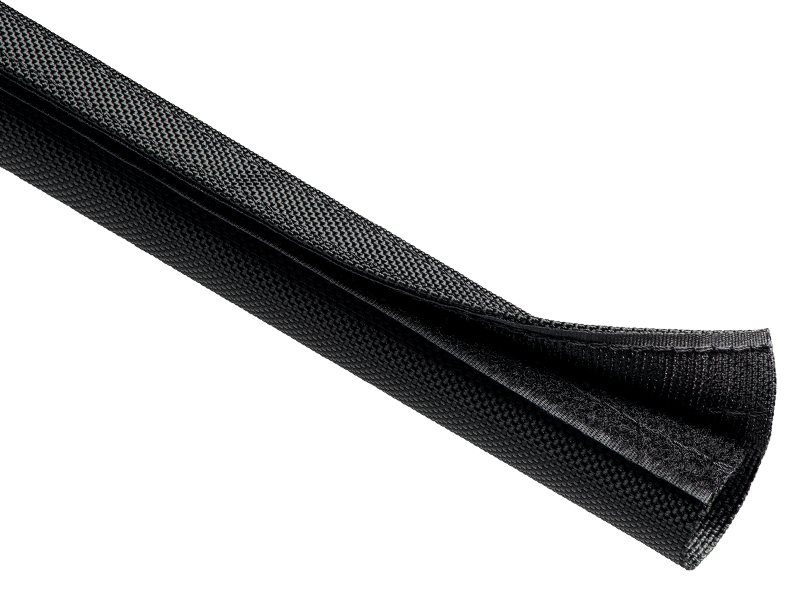 The flexible sleeve is made from tightly woven ballistic Nylon® with an aggressive, industrial strength hook and loop closure. 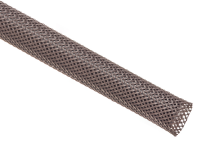 Dura Wrap heavy duty braided sleeving is used on wires to keep them together, on hoses and cables to prevent abrasion damage or on chains to keep them from ruining expensive finished surfaces. 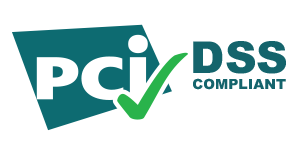 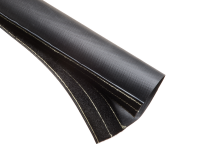 DW is extremely flexible and easy to install over single or multiple hoses. 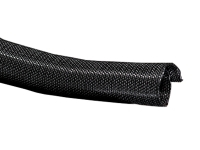 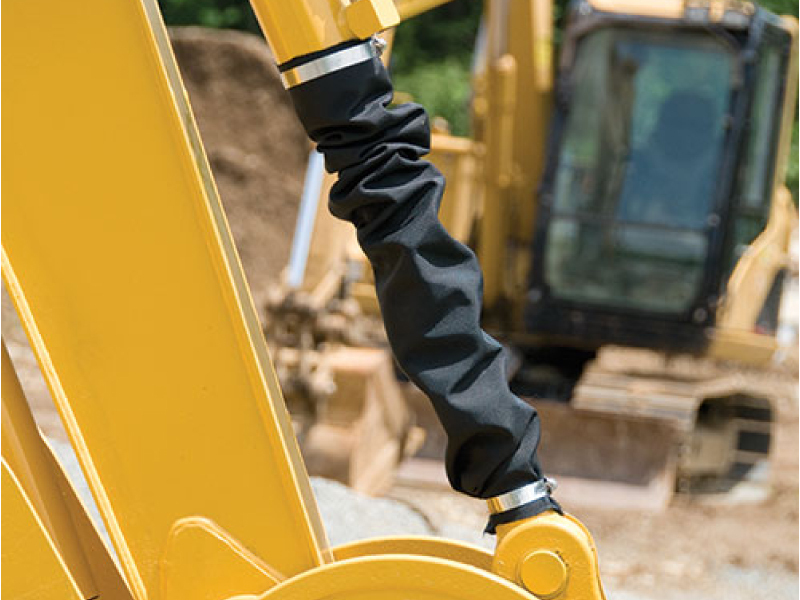 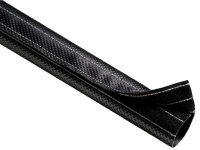 In the event of a hose rupture, the high strength sleeving helps prevent high pressure fluid from becoming a danger to equipment operators and other personnel.